The RCMP have shared the previously unreleased 18 seconds from Ottawa gunman Michael Zehaf-Bibeau's video manifesto, all of which are spoken in Arabic. 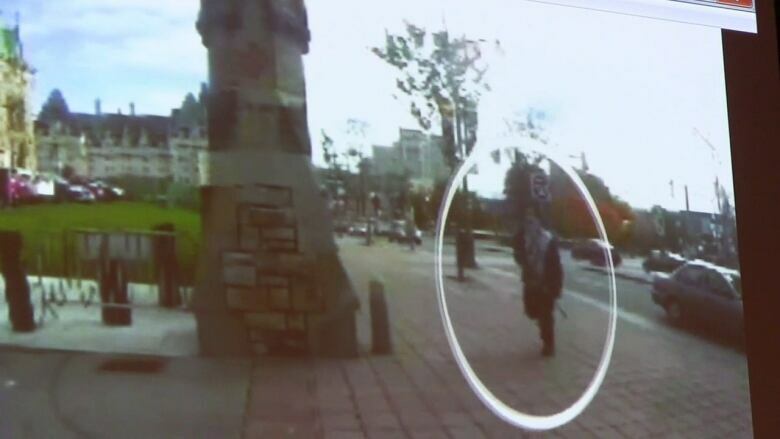 The RCMP have shared the previously unreleased 18 seconds from Ottawa gunman Michael Zehaf-Bibeau's video manifesto. It includes two prayers to Allah — and a curse — all of which are spoken in Arabic. Zehaf-Bibeau opens the video with a 13-second prayer. "In the name of Allah the most gracious and the most merciful. All praises to Allah, the Lord of the universe. We seek his help and ask for his forgiveness," he says, according to RCMP translations provided in the video. Zehaf-Bibeau lets out a sigh before continuing. "Lord, open for me my chest, ease my task for me and remove the impediment from my speech. In the name of Allah the most gracious and the most merciful," the RCMP's translation says. He then switches back to English and the video continues with the footage RCMP released back in March. After his closing remarks in English, Zehaf-Bibeau finishes the video with additional words in Arabic. He rolls his eyes to the sky. "Lord accept from me and peace be upon you and upon the Mujahedin. May Allah curse you," he says, according to translation provided on the video. In a written statement released Friday, the RCMP said they initially held these parts of the video in order to "fully analyze the language used, including the dialect of Arabic being spoken" and to talk to experts about its content. Back in March, RCMP commissioner Bob Paulson said the 18 seconds of the video had been cut for "sound operational" reasons. Zehaf-Bibeau filmed the video in his car moments before he shot and killed Cpl. Nathan Cirillo at the National War Memorial last October and subsequently stormed Parliament Hill. RCMP released 55 seconds of the cell phone video at a tense Commons public safety committee meeting in March. That section was in English. 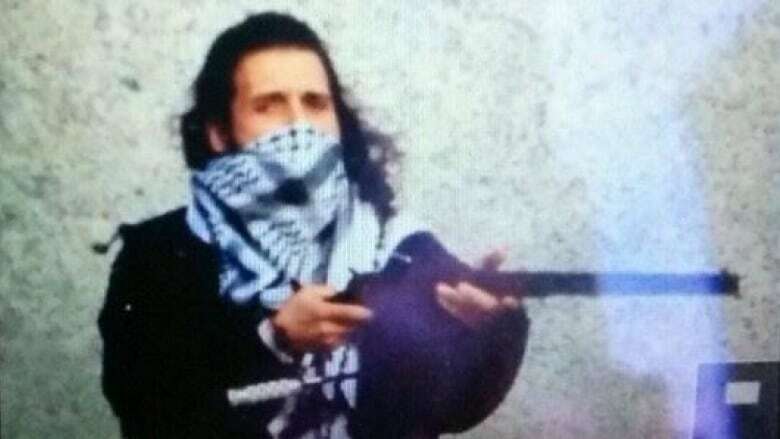 In the English portion of the video, Zehaf-Bibeau speaks to the camera, remaining eerily calm. He looks over his shoulder a few times and shifts his eyes, warning the impending attacks were in retaliation to Canadian missions in Afghanistan and Iraq. "Canada's officially become one of our enemies by fighting and bombing us and creating a lot of terror in our countries and killing us and killing our innocents," he said in the video. "So, just aiming to hit some soldiers just to show that you're not even safe in your own land, and you gotta be careful.​"
Following the release, Steven Blaney, the minister of public safety, issued a statement which closely echoed his previous comments on the incident. "This video is a stark reminder of the need to remain vigilant at home and abroad," he said. "I would like to commend the RCMP and the various police forces for the bravery and professionalism they demonstrated last October that brought a swift end to this terrorist act and protected Canadian lives." Friday's release comes earlier than expected, after Paulson announced to a Senate committee Monday that the unreleased portion would be shared in the coming weeks. He also told the committee the OPP report into the RCMP's response to the Parliament Hill shootings will be released either this week or next. The report has not yet been released.